What is the bane of every lawyer’s existence? Certainly one of them is keeping track of billable hours. Lawyer-turned-entrepreneur Ryan Alshak JD ’13 saw this problem as a business opportunity — and a way to make a difference. He quit a BigLaw job two years ago to launch Ping and transform how lawyers track their time. Instead of giving law firms a data dump, listing the time and duration of every email and phone call on a given date, Ping curates that timesheet. Ping’s AI is able to determine if a given activity is billable, which client matter it relates to and what the legal code is — across all apps, programs and devices. “That’s really what differentiates us from any other player on the market,” Alshak says. Now, Ping is targeting and rolling out the product to their next three or four firms. They also received significant funding and are aggressively growing out the team (from their current team of five software engineers, a designer, a businessperson and AI engineers with PhDs in particle physics). And a milestone is just on the horizon. “We are in the process of closing our U.S. partner firm, which I can’t go public about yet, but it’s one of the largest firms in the world,” Alshak adds. 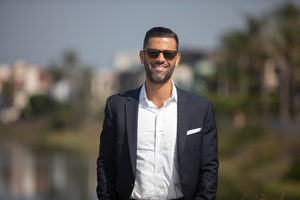 Alshak, who graduated from UC Berkeley with a degree in political science in 2009, admired what some of his fellow graduates had done when they built and sold their own companies. “It wasn’t that I was jealous of the financial windfall, although that’s a great byproduct, but it was the notion that they had created value at such a young age,” he says. This article originally appeared in the Fall 2018 issue of the USC Law magazine.